What are some of the main drivers of developing an international brand strategy? Recent research underlines the importance of brand value in creating long term and sustainable growth. Companies with a clear brand identity were the first to emerge from the 2009 recession and resume growth, their performance eclipsing those with low brand equity. This clearly emphasises the need for a national and a global brand strategy, which is responsive to quite different markets and needs. 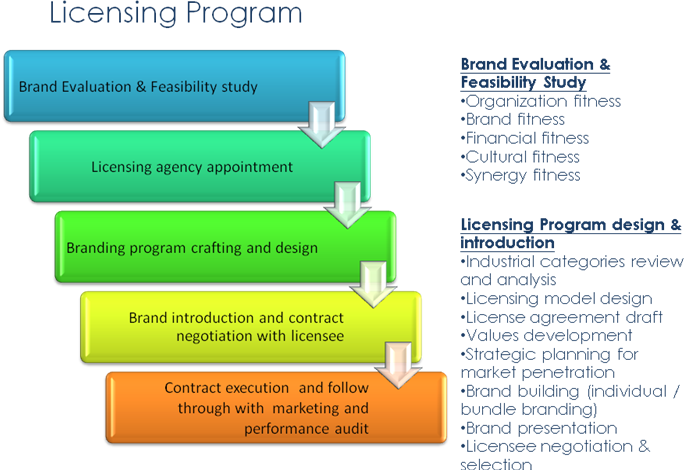 Licensing the right partners generates revenues, which can make a significant impact to long term profitability, and good use of resources. More than that, the process helps build your brand in markets where you are known, but where distribution might be restrictive. Examples are products which are bulky, or very heavy. For this reasons the mattress industry was one of the early groups to exploit licensing globally, more than 20 years ago, to access Asian markets and is still a leader in this field. Risk associated with establishing overseas sales or owned manufacturing facilities is significant, and licensing, if structured professionally, exposes the company to less risk. Demand exists for licenses from strong Western companies, as Asian manufacturers turn to domestic markets, and start to understand the power of brands. Broadbrand’s approach to this is practical and logical, hardly ‘rocket science’ but includes a few ‘secret ingredients’ of our own. In our 20 years experience of Asian manufacturing, exporting, marketing/distribution, and retail experience, we have pulled together some well proven, established methods, but also developed some rather unique perspectives which reflect some of the unusual experience of our team, and more importantly, are proven to enhance your business. This generates an approach which, as we say, ‘starts’ with the signing of the agreement, and continues through implementation of the licensing strategy to deliver significant competitive advantage for the brand and the licensee. It all starts with a good plan, and facts. But before that, we work with you on developing the brief, and formalising your objectives, if needed. This leads to a reliable road map of where you want to go. We then analyse the market for opportunities and priorities in market segments and sub-segments, using tools we developed specially for this purpose. These generate real data that guides development of the strategy. As Igor Asnoff said, ‘It’s all about strategy’. We then develop a detailed plan for implementing this, with timelines and milestones, so it can be measured. (What get’s measured, gets done, according to Steelcase).